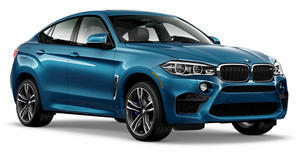 The M550d xDrive and X6 M50d were unveiled at the big event, representing the quartet of new M Performance diesel cars, none of which are slated for the US. There are four models in BMW&apos;s new M Performance Diesel line-up, namely the BMW M550d xDrive, BMW M550d xDrive Touring, BMW X5 M50d and BMW X6 M50d; but at Geneva, only the 2012 BMW M550d xDrive and x6 M50d have been revealed. 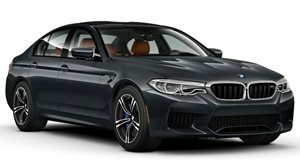 The quartet of M Performance automobiles are all powered by the exclusive tri-turbocharged 3.0-liter inline six delivering 375hp and 546lb-ft of torque. Other similarities include the eight-speed automatic gearbox, the AWD xDrive and modified suspension technology, and an electronically-limited top speed of 155 mph. Whey they differ is in the performance figures: the M550 sedan manages the century sprint in 4.7 seconds, its Touring counterpart does it in 4.9 seconds, while the X5 and X6 M50d are timed at 5.4 and 5.3 seconds respectively. There&apos;s a host of other features that was covered in detail in the buildup to Geneva but for now its all about these live images.